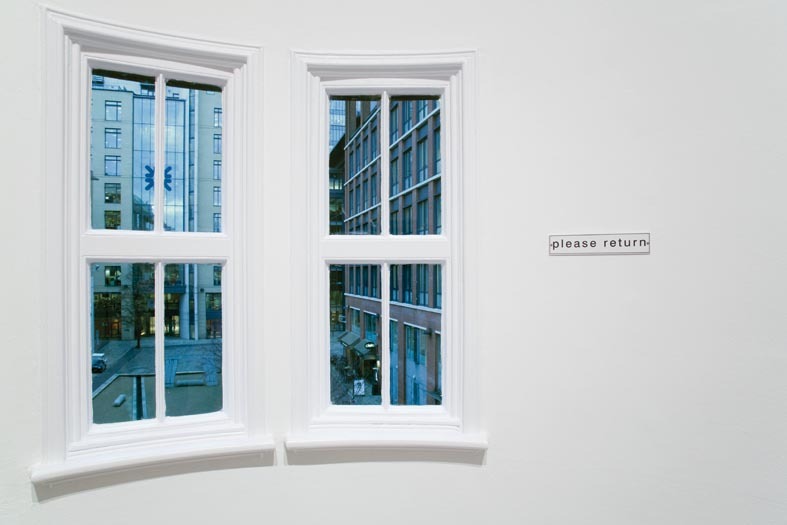 Please Return is the latest exhibition by Norwegian artist AK Dolven at Ikon. Through a combination of painting, photography, film and sound Dolven’s work represents the natural forces that surround us. Her choice of subject matter is similar to the renowned nineteenth century painter and fellow Norwegian Peder Balke (1804 – 87) whom Dolven identifies with whose work she has chosen to include in the exhibition alongside her own. Balke’s work often featured humans unable to control the world around them and thus victims of circumstance, which he often represented as small figures on the landscape or in boats tossed around in rough seas. However while Dolven shares her fellow countryman’s world view, her artwork is more philosophical, dealing with the nature of perception and the subconscious functioning of memory and emotions. The exhibition features artwork such as self portrait Berlin February 1989 – Lofoten August 2009 (2010) an 8mm film on video, Vertical on my own (2011) shot on 16mm film and a series of paintings which allude to Balke through their medium of colour layered on to aluminium panels with a heavy focus on people and surviving rather than them being dominated by the elements. This entry was posted in Art, Birmingham, Exhibitions and tagged AK Dolven, AK Dolven Please Return, Art, Art in Birmingham, Exhibitions, Exhibitions in Birmingham, Ikon Gallery. Bookmark the permalink.